Mega Sale! 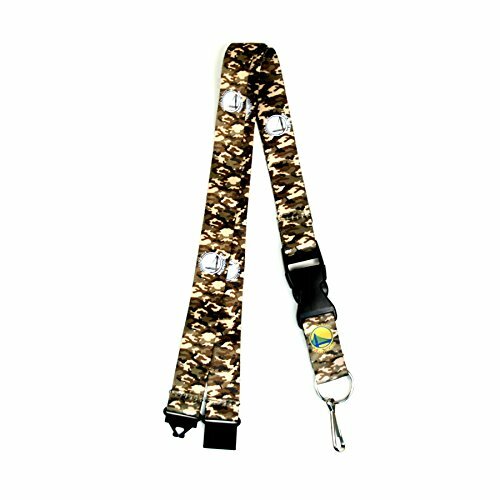 Save 23% on the aminco NBA Golden State Warriors Army Camo Lanyard by aminco at Basket Express. MPN: 763264446525. Hurry! Limited time offer. Offer valid only while supplies last. Show off your team fandom with this Army Camo Lanyard by Aminco. Each lanyard measures 22-inches in length and is decorated with a team colored logo. Show off your team fandom with this Army Camo Lanyard by Aminco. Each lanyard measures 22-inches in length and is decorated with a team colored logo. It features a breakaway tab and quick release buckle. Ideal for car keys and ID badges. Made in China. Manufacturer: St. Louis Wholesale, LLC. Publisher: St. Louis Wholesale, LLC. Studio: St. Louis Wholesale, LLC.